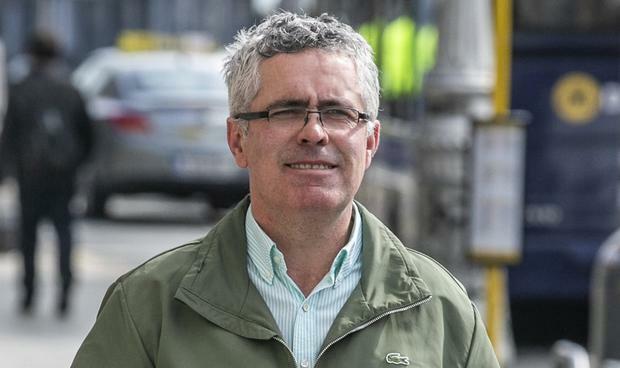 A car dealer has been warned he faces being jailed for a third time for contempt of court for frustrating efforts by the Revenue Commissioners to recover a judgment of almost €5m. The president of the High Court, Mr Justice Peter Kelly, said John Alex Kane was “running the grave risk of returning to Mountjoy” after hearing further claims of interference with the work of a Revenue-appointed receiver. The Revenue obtained a €4.97m judgment against Mr Kane in 2009 over unpaid taxes. Mr Kane’s family ran the Kanes of Granard auto business in Co Longford. But efforts by a receiver, Myles Kirby, to sell land owned by Mr Kane to help satisfy the debt have been frustrated by Mr Kane, the High Court heard. Mr Kirby had previously outlined how prospective buyers received threatening phone calls warning them not to proceed with the purchase. In court yesterday, Gary McCarthy SC, for the receiver, said he had no option but to seek to have Mr Kane held in contempt of court. This followed the most recent effort to frustrate the land sale, which involved the placement of 15 cattle on the land, Mr McCarthy said. He said it appeared Mr Kane moved the cattle on to the land from a neighbouring farm without the consent of their owner. The barrister also said tricolour flags had been flown at the property to frustrate the sale. A significant amount of dumping had also taken place at another property the receiver was trying to sell. “We are getting no further towards the sale of these lands,” said Mr McCarthy. Mr Kane denied being involved in moving the cattle on to the land, and asked to be allowed to file an affidavit in his defence. Mr Justice Kelly agreed to this, but warned there was a substantial risk of Mr Kane being jailed if he could not satisfy the court that he was not responsible for moving the cattle on to the land. Mr Kane has twice been jailed before for contempt of court, while his brother Seamus has also been jailed once for contempt in connection with the proceedings. Mr Justice Kelly said that “at every hands turn”, Mr Kane had done everything in his power to frustrate the Revenue’s efforts. “Only when you get to the 59th minute of the 11th hour do you do something which saves your bacon,” the judge said. Mr Justice Kelly adjourned the hearing to June to allow Mr Kane to file an affidavit. Earlier, Mr McCarthy indicated the Revenue was seeking to appoint Mr Kirby as receiver over a former pub property bought in the name of Mr Kane’s wife Lucy Pinfold. The pub was bought with the intention of being converted into an auto workshop, but it is now being rented out. Mr McCarthy said the Revenue had formed the view Ms Pinfold never had the means to buy the property and that the purchase was made using “undeclared sources of income” from Mr Kane.